6.Preface There’s	a	flood	of	interest	in	learning	how	to	analyze	streaming	data	in	large-scale	systems, partly	because	there	are	situations	in	which	the	time-value	of	data	makes	real-time	analytics	so attractive. But	gathering	in-the-moment	insights	made	possible	by	very	low-latency applications	is	just	one	of	the	benefits	of	high-performance	stream	processing. In	this	book,	we	offer	an	introduction	to	Apache	Flink,	a	highly	innovative	open	source stream	processor	with	a	surprising	range	of	capabilities	that	help	you	take	advantage	of stream-based	approaches. Flink	not	only	enables	fault-tolerant,	truly	real-time	analytics,	it	can also	analyze	historical	data	and	greatly	simplify	your	data	pipeline. Perhaps	most	surprising is	that	Flink	lets	you	do	streaming	analytics	as	well	as	batch	jobs,	both	with	one	technology. Flink’s	expressivity	and	robust	performance	make	it	easy	to	develop	applications,	and	Flink’s architecture	makes	those	easy	to	maintain	in	production. Not	only	do	we	explain	what	Flink	can	do,	we	also	describe	how	people	are	using	it,	including in	production. Flink	has	an	active	and	rapidly	growing	open	international	community	of developers	and	users. The	first	Flink-only	conference,	called	Flink	Forward,	was	held	in Berlin	in	October	2015,	the	second	is	scheduled	for	September	2016,	and	there	are	Apache Flink	meetups	around	the	world,	with	new	use	cases	being	widely	reported. 7.How	to	Use	This	Book This	book	will	be	useful	for	both	nontechnical	and	technical	readers. No	specialized	skills	or previous	experience	with	stream	processing	are	necessary	to	understand	the	explanations	of underlying	concepts	of	Flink’s	designs	and	capabilities,	although	a	general	familiarity	with big	data	systems	is	helpful. To	be	able	to	use	sample	code	or	the	tutorials	referenced	in	the book,	experience	with	Java	or	Scala	is	needed,	but	the	key	concepts	underlying	these examples	are	explained	clearly	in	this	book	even	without	needing	to	understand	the	code itself. Chapters	1–3	provide	a	basic	explanation	of	the	needs	that	motivated	Flink’s	development	and how	it	meets	them,	the	advantages	of	a	stream-first	architecture,	and	an	overview	of	Flink design. Chapter	4–Appendix	A	provide	a	deeper,	technical	explanation	of	Flink’s	capabilities. 8.Conventions	Used	in	This	Book NOT E This	icon	indicates	a	general	note. T IP This	icon	signifies	a	tip	or	suggestion. WARNING This	icon	indicates	a	warning	or	caution. 10.look	at	how	people	are	using	it,	including	in	production. 11.Consequences	of	Not	Doing	Streaming	Well Who	needs	to	work	with	streaming	data? Some	of	the	first	examples	that	come	to	mind	are people	working	with	sensor	measurements	or	financial	transactions,	and	those	are	certainly situations	where	stream	processing	is	useful. But	there	are	much	more	widespread	sources	of streaming	data:	clickstream	data	that	reflects	user	behavior	on	websites	and	machine	logs	for your	own	data	center	are	two	familiar	examples. In	fact,	streaming	data	sources	are	essentially ubiquitous	—	it’s	just	that	there	has	generally	been	a	disconnect	between	data	from	continuous events	and	the	consumption	of	that	data	in	batch-style	computation. That’s	now	changing	with the	development	of	new	technologies	to	handle	large-scale	streaming	data. Still,	if	it	has	historically	been	a	challenge	to	work	with	streaming	data	at	very	large	scale, why	now	go	to	the	trouble	to	do	it,	and	to	do	it	well? Before	we	look	at	what	has	changed	— the	new	architecture	and	emerging	technologies	that	support	working	with	streaming	data	— let’s	first	look	at	the	consequences	of	not	doing	streaming	well. 12.Retail	and	Marketing In	the	modern	retail	world,	sales	are	often	represented	by	clicks	from	a	website,	and	this	data may	arrive	at	large	scale,	continuously	but	not	evenly. Handling	it	well	at	scale	using	older techniques	can	be	difficult. Even	building	batch	systems	to	handle	these	dataflows	is challenging	—	the	result	can	be	an	enormous	and	complicated	workflow. The	result	can	be dropped	data,	delays,	or	misaggregated	results. How	might	that	play	out	in	business	terms? Imagine	that	you’re	reporting	sales	figures	for	the	past	quarter	to	your	CEO. You	don’t	want to	have	to	recant	later	because	you	over-reported	results	based	on	inaccurate	figures. If	you don’t	deal	with	clickstream	data	well,	you	may	end	up	with	inaccurate	counts	of	website	traffic —	and	that	in	turn	means	inaccurate	billing	for	ad	placement	and	performance	figures. Airline	passenger	services	face	the	similar	challenge	of	handling	huge	amounts	of	data	from many	sources	that	must	be	quickly	and	accurately	coordinated. For	example,	as	passengers check	in,	data	must	be	checked	against	reservation	information,	luggage	handling	and	flight status,	as	well	as	billing. At	this	scale,	it’s	not	easy	to	keep	up	unless	you	have	robust technology	to	handle	streaming	data. The	recent	major	service	outages	with	three	of	the	top four	airlines	can	be	directly	attributed	to	problems	handling	real-time	data	at	scale. Of	course	many	related	problems	—	such	as	the	importance	of	not	double-booking	hotel rooms	or	concert	tickets	—	have	traditionally	been	handled	effectively	with	databases,	but often	at	considerable	expense	and	effort. The	costs	can	begin	to	skyrocket	as	the	scale	of	data grows,	and	database	response	times	are	too	slow	for	some	situations. Development	speed	may suffer	from	lack	of	flexibility	and	come	to	a	crawl	in	large	and	complex	or	evolving	systems. Basically,	it	is	difficult	to	react	in	a	way	that	lets	you	keep	up	with	life	as	it	happens	while maintaining	consistency	and	affordability	in	large-scale	systems. Fortunately,	modern	stream	processors	can	often	help	address	these	issues	in	new	ways, working	well	at	scale,	in	a	timely	manner,	and	less	expensively. Stream	processing	also invites	exploration	into	doing	new	things,	such	as	building	real-time	recommendation systems	to	react	to	what	people	are	buying	right	now,	as	part	of	deciding	what	else	they	are likely	to	want. It’s	not	that	stream	processors	replace	databases	—	far	from	it;	rather,	they	can in	certain	situations	address	roles	for	which	databases	are	not	a	great	fit. This	also	frees	up databases	to	be	used	for	locally	specific	views	of	current	state	of	business. This	shift	is explained	more	thoroughly	in	our	discussion	of	stream-first	architecture	in	Chapter	2. 13.The	Internet	of	Things The	Internet	of	Things	(IoT)	is	an	area	where	streaming	data	is	common	and	where	low- latency	data	delivery	and	processing,	along	with	accuracy	of	data	analysis,	is	often	critical. Sensors	in	various	types	of	equipment	take	frequent	measurements	and	stream	those	to	data centers	where	real-time	or	near	real–time	processing	applications	will	update	dashboards,	run machine	learning	models,	issue	alerts,	and	provide	feedback	for	many	different	services. The	transportation	industry	is	another	example	where	it’s	important	to	do	streaming	well. State-of-the-art	train	systems,	for	instance,	rely	on	sensor	data	communicated	from	tracks	to trains	and	from	trains	to	sensors	along	the	route;	together,	reports	are	also	communicated back	to	control	centers. Measurements	include	train	speed	and	location,	plus	information from	the	surroundings	for	track	conditions. If	this	streaming	data	is	not	processed	correctly, adjustments	and	alerts	do	not	happen	in	time	to	adjust	to	dangerous	conditions	and	avoid accidents. Another	example	from	the	transportation	industry	are	“smart”	or	connected	cars,	which	are being	designed	to	communicate	data	via	cell	phone	networks,	back	to	manufacturers. In	some countries	(i.e.,	Nordic	countries,	France,	the	UK,	and	beginning	in	the	US),	connected	cars even	provide	information	to	insurance	companies	and,	in	the	case	of	race	cars,	send information	back	to	the	pit	via	a	radio	frequency	(RF)	link	for	analysis. Some	smartphone applications	also	provide	real-time	traffic	updates	shared	by	millions	of	drivers,	as	suggested in	Figure	1-1. 14.Figure	1-1. The	time-value	of	data	comes	into	consideration	in	many	situations	including	IoT	data	used	in	transportation. Real-time	traffic	information	shared	by	millions	of	drivers	relies	on	reasonably	accurate	analysis	of	streaming	data	that	is processed	in	a	timely	manner. (Image	credit	©	2016	Friedman) The	IoT	is	also	having	an	impact	in	utilities. Utility	companies	are	beginning	to	implement smart	meters	that	send	updates	on	usage	periodically	(e.g.,	every	15	minutes),	replacing	the old	meters	that	are	read	manually	once	a	month. In	some	cases,	utility	companies	are experimenting	with	making	measurements	every	30	seconds. This	change	to	smart	meters results	in	a	huge	amount	of	streaming	data,	and	the	potential	benefits	are	large. The advantages	include	the	ability	to	use	machine	learning	models	to	detect	usage	anomalies caused	by	equipment	problems	or	energy	theft. Without	efficient	ways	to	deliver	and accurately	process	streaming	data	at	high	throughput	and	with	very	low	latencies,	these	new goals	cannot	be	met. Other	IoT	projects	also	suffer	if	streaming	is	not	done	well. Large	equipment	such	as	turbines in	a	wind	farm,	manufacturing	equipment,	or	pumps	in	a	drilling	operation	—	these	all	rely on	analysis	of	sensor	measurements	to	provide	malfunction	alerts. The	consequences	of	not handling	stream	analysis	well	and	with	adequate	latency	in	these	cases	can	be	costly	or	even catastrophic. 15.Telecom The	telecommunications	industry	is	a	special	case	of	IoT	data,	with	its	widespread	use	of streaming	event	data	for	a	variety	of	purposes	across	geo-distributed	regions. If	a telecommunications	company	cannot	process	streaming	data	well,	it	will	fail	to	preemptively reroute	usage	surges	to	alternative	cell	towers	or	respond	quickly	to	outages. Anomaly detection	to	processes	streaming	data	is	important	to	this	industry	—	in	this	case,	to	detect dropped	calls	or	equipment	malfunctions. 16.Banking	and	Financial	Sector The	potential	problems	caused	by	not	doing	stream	processing	well	are	particularly	evident	in banking	and	financial	settings. A	retail	bank	would	not	want	customer	transactions	to	be delayed	or	to	be	miscounted	and	therefore	result	in	erroneous	account	balances. The	old- fashioned	term	“bankers’	hours”	referred	to	the	need	to	close	up	a	bank	early	in	the	afternoon in	order	to	freeze	activity	so	that	an	accurate	tally	could	be	made	before	the	next	day’s business. That	batch	style	of	business	is	long	gone. Transactions	and	reporting	today	must happen	quickly	and	accurately;	some	new	banks	even	offer	immediate,	real-time	push notifications	and	mobile	banking	access	anytime,	anywhere. In	a	global	economy,	it’s increasingly	important	to	be	able	to	meet	the	needs	of	a	24-hour	business	cycle. What	happens	if	a	financial	institution	does	not	have	applications	that	can	recognize anomalous	behavior	in	user	activity	data	with	sensitive	detection	in	real	time? Fraud	detection for	credit	card	transactions	requires	timely	monitoring	and	response. Being	able	to	detect unusual	login	patterns	that	signal	an	online	phishing	attack	can	translate	to	huge	savings	by detecting	problems	in	time	to	mitigate	loss. NOT E The	time-value	of	data	in	many	situations	makes	low-latency	or	real-time	stream	processing	highly	desirable,	as long	as	it’s	also	accurate	and	efficient. 17.Goals	for	Processing	Continuous	Event	Data Being	able	to	process	data	with	very	low	latency	is	not	the	only	advantage	of	effective	stream processing. A	wishlist	for	stream	processing	not	only	includes	high	throughput	with	low latency,	but	the	processing	system	also	needs	to	be	able	to	deal	with	interruptions. A	great streaming	technology	should	be	able	to	restart	after	a	failure	in	a	manner	that	produces accurate	results;	in	other	words,	there’s	an	advantage	to	being	fault-tolerant	with	exactly-once guarantees. Furthermore,	the	method	used	to	achieve	this	level	of	fault	tolerance	preferably	should	not carry	a	lot	of	overhead	cost	in	the	absence	of	failures. It’s	useful	to	be	able	to	recognize sessions	based	on	when	the	events	occur	rather	than	an	arbitrary	processing	interval	and	to	be able	to	track	events	in	the	correct	order. It’s	also	important	for	such	a	system	to	be	easy	for developers	to	use,	both	in	writing	code	and	in	fixing	bugs,	and	it	should	be	easily	maintained. Also	important	is	that	these	systems	produce	correct	results	with	respect	to	the	time	that	events happen	in	the	real	world	—	for	example,	being	able	to	handle	streams	of	events	that	arrive	out of	order	(an	unfortunate	reality),	and	being	able	to	deterministically	replace	streams	(e.g.,	for auditing	or	debugging	purposes). 19.the	approach	taken	by	Apache	Spark	Streaming,	which	runs	on	the	Spark	batch	engine. More	important,	with	micro-batching,	you	can	achieve	exactly-once	guarantees	of	state consistency. If	a	micro-batch	job	fails,	it	can	be	rerun. This	is	much	easier	than	would	be	true for	a	continuous	stream-processing	approach. An	extension	of	Storm,	called	Storm	Trident, applies	micro-batch	computation	on	the	underlying	stream	processor	to	provide	exactly-once guarantees,	but	at	a	substantial	cost	to	latency. However,	simulating	streaming	with	periodic	batch	jobs	leads	to	very	fragile	pipelines	that mix	DevOps	with	application	development	concerns. The	time	that	a	periodic	batch	job	takes to	finish	is	tightly	coupled	with	the	timing	of	data	arrival,	and	any	delays	can	cause inconsistent	(a.k.a. wrong)	results. The	underlying	problem	with	this	approach	is	that	time	is only	managed	implicitly	by	the	part	of	the	system	that	creates	the	small	jobs. Frameworks	like Spark	Streaming	mitigate	some	of	the	fragility,	but	not	entirely,	and	the	sensitivity	to	timing relative	to	batches	still	leads	to	poor	latency	and	a	user	experience	where	one	needs	to	think	a lot	about	performance	in	the	application	code. These	tradeoffs	between	desired	capabilities	have	motivated	continued	attempts	to	improve existing	processors	(for	example,	the	development	of	Storm	Trident	to	try	to	overcome	some of	the	limitations	of	Storm). When	existing	processors	fall	short,	the	burden	is	placed	on	the application	developer	to	deal	with	any	issues	that	result. An	example	is	the	case	of	micro- batching,	which	does	not	provide	an	excellent	fit	between	the	natural	occurrence	of	sessions in	event	data	and	the	processor ’s	need	to	window	data	only	as	multiples	of	the	batch	time (recovery	interval). With	less	flexibility	and	expressivity,	development	time	is	slower	and operations	take	more	effort	to	maintain	properly. This	brings	us	to	Apache	Flink,	a	data	processor	that	removes	many	of	these	tradeoffs	and combines	many	of	the	desired	traits	needed	to	efficiently	process	data	from	continuous	events. The	combination	of	some	of	Flink’s	capabilities	is	illustrated	in	Figure	1-2. 20. Figure	1-2. One	of	the	strengths	of	Apache	Flink	is	the	way	it	combines	many	desirable	capabilities	that	have	previously required	a	tradeoff	in	other	projects. Apache	Storm,	in	contrast,	provides	low	latency,	but	at	present	does	not	provide	high throughput	and	does	not	support	correct	handling	of	state	when	failures	happen. The	micro-batching	approach	of	Apache Spark	Streaming	achieves	fault	tolerance	with	high	throughput,	but	at	the	cost	of	very	low	latency/real-time	processing, inability	to	fit	windows	to	naturally	occurring	sessions,	and	some	challenges	with	expressiveness. As	is	the	case	with	Storm	and	Spark	Streaming,	other	new	technologies	in	the	field	of	stream processing	offer	some	useful	capabilities,	but	it’s	hard	to	find	one	with	the	combination	of traits	that	Flink	offers. Apache	Samza,	for	instance,	is	another	early	open	source	processor for	streaming	data,	but	it	has	also	been	limited	to	at-least-once	guarantees	and	a	low-level API. Similarly,	Apache	Apex	provides	some	of	the	benefits	of	Flink,	but	not	all	(e.g.,	it	is limited	to	a	low-level	programming	API,	it	does	not	support	event	time,	and	it	does	not	have support	for	batch	computations). And	none	of	these	projects	have	been	able	to	attract	an	open source	community	comparable	to	the	Flink	community. Now,	let’s	take	a	look	at	what	Flink	is	and	how	the	project	came	about. 21.First	Look	at	Apache	Flink The	Apache	Flink	project	home	page	starts	with	the	tagline,	“Apache	Flink	is	an	open	source platform	for	distributed	stream	and	batch	data	processing.”	For	many	people,	it’s	a	surprise	to realize	that	Flink	not	only	provides	real-time	streaming	with	high	throughput	and	exactly- once	guarantees,	but	it’s	also	an	engine	for	batch	data	processing. You	used	to	have	to	choose between	these	approaches,	but	Flink	lets	you	do	both	with	one	technology. How	did	this	top-level	Apache	project	get	started? Flink	has	its	origins	in	the	Stratosphere project,	a	research	project	conducted	by	three	Berlin-based	Universities	as	well	as	other European	Universities	between	2010	and	2014. The	project	had	already	attracted	a	broader community	base,	in	part	through	presentations	at	several	public	developer	conferences including	Berlin	Buzzwords,	NoSQL	Matters	in	Cologne,	and	others. This	strong	community base	is	one	reason	the	project	was	appropriate	for	incubation	under	the	Apache	Software Foundation. A	fork	of	the	Stratosphere	code	was	donated	in	April	2014	to	the	Apache	Software	Foundation as	an	incubating	project,	with	an	initial	set	of	committers	consisting	of	the	core	developers	of the	system. Shortly	thereafter,	many	of	the	founding	committers	left	university	to	start	a company	to	commercialize	Flink:	data	Artisans. During	incubation,	the	project	name	had	to	be changed	from	Stratosphere	because	of	potential	confusion	with	an	unrelated	project. The name	Flink	was	selected	to	honor	the	style	of	this	stream	and	batch	processor:	in	German,	the word	“flink”	means	fast	or	agile. A	logo	showing	a	colorful	squirrel	was	chosen	because squirrels	are	fast,	agile	and	—	in	the	case	of	squirrels	in	Berlin	—	an	amazing	shade	of reddish-brown,	as	you	can	see	in	Figure	1-3. 22. Figure	1-3. Left:	Red	squirrel	in	Berlin	with	spectacular	ears. 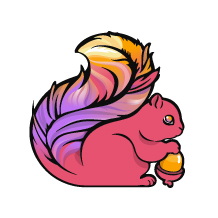 Right:	Apache	Flink	logo	with	spectacular	tail. Its	colors reflect	that	of	the	Apache	Software	Foundation	logo. It’s	an	Apache-style	squirrel! The	project	completed	incubation	quickly,	and	in	December	2014,	Flink	graduated	to	become a	top-level	project	of	the	Apache	Software	Foundation. Flink	is	one	of	the	5	largest	big	data projects	of	the	Apache	Software	Foundation,	with	a	community	of	more	than	200	developers across	the	globe	and	several	production	installations,	some	in	Fortune	Global	500	companies. At	the	time	of	this	writing,	34	Apache	Flink	meetups	take	place	in	cities	around	the	world, with	approximately	12,000	members	and	Flink	speakers	participating	at	big	data	conferences. In	October	2015,	the	Flink	project	held	its	first	annual	conference	in	Berlin:	Flink	Forward. 24.although	the	runtime	of	Flink	was	always	based	on	streams,	the	DataSet	API	predates	the DataStream	API,	as	the	industry	need	for	processing	infinite	streams	was	not	as	widespread	in the	first	Flink	years. The	DataStream	API	is	a	fluent	API	for	defining	analytics	on	possibly	infinite	data	streams. The	API	is	available	in	Java	or	Scala. Users	work	with	a	data	structure	called	DataStream, which	represents	distributed,	possibly	infinite	streams. Flink	is	distributed	in	the	sense	that	it	can	run	on	hundreds	or	thousands	of	machines, distributing	a	large	computation	in	small	chunks,	with	each	machine	executing	one	chunk. The Flink	framework	automatically	takes	care	of	correctly	restoring	the	computation	in	the	event of	machine	and	other	failures,	or	intentional	reprocessing,	as	in	the	case	of	bug	fixes	or version	upgrades. This	capability	alleviates	the	need	for	the	programmer	to	worry	about failures. Flink	internally	uses	fault-tolerant	streaming	data	flows,	allowing	developers	to analyze	never-ending	streams	of	data	that	are	continuously	produced	(stream	processing). NOT E Because	Flink	handles	many	issues	of	concern,	such	as	exactly-once	guarantees	and	data	windows	based	in	event time,	developers	no	longer	need	to	accommodate	these	in	the	application	layer. That	style	leads	to	fewer	bugs. Teams	get	the	best	out	of	their	engineers’	time	because	they	aren’t	burdened	by	having	to	take care	of	problems	in	their	application	code. This	benefit	not	only	affects	development	time,	it also	improves	quality	through	flexibility	and	makes	operations	easier	to	carry	out	efficiently. Flink	provides	a	robust	way	for	an	application	to	perform	well	in	production. This	is	not	just theory	—	despite	being	a	relatively	new	project,	Flink	software	is	already	being	used	in production,	as	we	will	see	in	the	next	section. 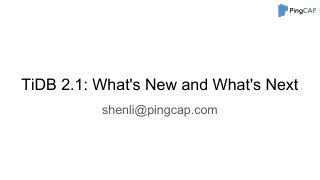 25.Flink	in	Production This	chapter	raises	the	question,	“Why	Apache	Flink?”	One	good	way	to	answer	that	is	to	hear what	people	using	Flink	in	production	have	to	say	about	why	they	chose	it	and	what	they’re using	it	for. 26.Bouygues	Telecom Bouygues	Telecom	is	the	third-largest	mobile	provider	in	France	and	is	part	of	the	Bouygues Group,	which	ranks	in	Fortune’s	“Global	500.”	Bouygues	uses	Flink	for	real-time	event processing	and	analytics	for	billions	of	messages	per	day	in	a	system	that	is	running	24/7. In	a June	2015	post	by	Mohamed	Amine	Abdessemed,	on	the	data	Artisans	blog,	a	representative from	Bouygues	described	the	company’s	project	goals	and	why	it	chose	Flink	to	meet	them. Bouygues	“...ended	up	with	Flink	because	the	system	supports	true	streaming	—	both	at	the API	and	at	the	runtime	level,	giving	us	the	programmability	and	low	latency	that	we	were looking	for. In	addition,	we	were	able	to	get	our	system	up	and	running	with	Flink	in	a fraction	of	the	time	compared	to	other	solutions,	which	resulted	in	more	available developer	resources	for	expanding	the	business	logic	in	the	system.” This	work	was	also	reported	at	the	Flink	Forward	conference	in	October	2015. Bouygues wanted	to	give	its	engineers	real-time	insights	about	customer	experience,	what	is	happening globally	on	the	network,	and	what	is	happening	in	terms	of	network	evolutions	and operations. To	do	this,	its	team	built	a	system	to	analyze	network	equipment	logs	to	identify	indicators	of the	quality	of	user	experience. The	system	handles	2	billion	events	per	day	(500,000	events per	second)	with	a	required	end-to-end	latency	of	less	than	200	milliseconds	(including message	publication	by	the	transport	layer	and	data	processing	in	Flink). This	was	achieved on	a	small	cluster	reported	to	be	only	10	nodes	with	1	gigabyte	of	memory	each. Bouygues also	wanted	other	groups	to	be	able	to	reuse	partially	processed	data	for	a	variety	of	business intelligence	(BI)	purposes,	without	interfering	with	one	another. 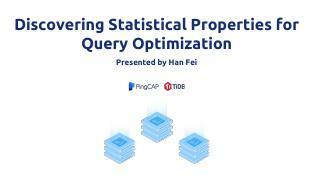 The	company’s	plan	was	to	use	Flink’s	stream	processing	to	transform	and	enrich	data. The derived	stream	data	would	then	be	pushed	back	to	the	message	transport	system	to	make	this data	available	for	analytics	by	multiple	consumers. This	approach	was	chosen	explicitly	instead	of	other	design	options,	such	as	processing	the data	before	it	enters	the	message	queue,	or	delegating	the	processing	to	multiple	applications that	consume	from	the	message	queue. Flink’s	stream	processing	capability	allowed	the	Bouygues	team	to	complete	the	data processing	and	movement	pipeline	while	meeting	the	latency	requirement	and	with	high reliability,	high	availability,	and	ease	of	use. The	Flink	framework,	for	instance,	is	ideal	for debugging,	and	it	can	be	switched	to	local	execution. Flink	also	supports	program visualization	to	help	understand	how	programs	are	running. Furthermore,	the	Flink	APIs	are attractive	to	both	developers	and	data	scientists. In	Mohamed	Amine	Abdessemed’s	blog	post, Bouygues	reported	interest	in	Flink	by	other	teams	for	different	use	cases. 27.Other	Examples	of	Apache	Flink	in	Production King.com It’s	a	pretty	fair	assumption	that	right	now	someone,	in	some	place	in	the	world,	is	playing	a King	game	online. This	leading	online	entertainment	company	states	that	it	has	developed more	than	200	games,	offered	in	more	than	200	countries	and	regions. As	the	King	engineers	describe:	“With	over	300	million	monthly	unique	users	and	over	30 billion	events	received	every	day	from	the	different	games	and	systems,	any	stream	analytics use	case	becomes	a	real	technical	challenge. It	is	crucial	for	our	business	to	develop	tools	for our	data	analysts	that	can	handle	these	massive	data	streams	while	keeping	maximal	flexibility for	their	applications.” The	system	that	the	company	built	using	Apache	Flink	allows	data	scientists	at	King	to	get access	in	these	massive	data	streams	in	real	time. They	state	that	they	are	impressed	by	Apache Flink’s	level	of	maturity. Even	with	such	a	complex	application	as	this	online	game	case,	Flink is	able	to	address	the	solution	almost	out	of	the	box. Zalando As	a	leading	online	fashion	platform	in	Europe,	Zalando	has	more	than	16	million	customers worldwide. On	its	website,	it	describes	the	company	as	working	with	“...small,	agile, autonomous	teams”	(another	way	to	say	this	is	that	they	employ	a	microservices	style	of architecture). A	stream-based	architecture	nicely	supports	a	microservices	approach,	and	Flink	provides stream	processing	that	is	needed	for	this	type	of	work,	in	particular	for	business	process monitoring	and	continuous	Extract,	Transform	and	Load	(ETL)	in	Zalando’s	use	case. Otto	Group The	Otto	Group	is	the	world’s	second-largest	online	retailer	in	the	end-consumer	(B2C) business,	and	Europe’s	largest	online	retailer	in	the	B2C	fashion	and	lifestyle	business. The	BI	department	of	the	Otto	Group	had	resorted	to	developing	its	own	streaming	engine, because	when	it	first	evaluated	the	open	source	options,	it	could	not	find	one	that	fit	its requirements. After	testing	Flink,	the	department	found	it	fit	their	needs	for	stream processing,	which	include	crowd-sourced	user-agent	identification,	and	a	search	session identifier. ResearchGate ResearchGate	is	the	largest	academic	social	network	in	terms	of	active	users. ResearchGate has	adopted	Flink	in	production	since	2014,	using	it	as	one	of	its	primary	tools	in	the	data infrastructure	for	both	batch	and	stream	processing. 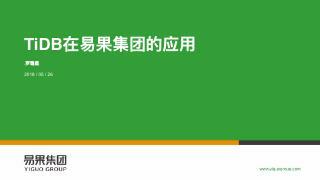 28.Alibaba	Group This	huge	ecommerce	group	works	with	buyers	and	suppliers	via	its	web	portal. The company’s	online	recommendations	are	produced	by	a	variation	of	Flink	(called	Blink). One of	the	attractions	of	working	with	a	true	streaming	engine	such	as	Flink	is	that	purchases	that are	being	made	during	the	day	can	be	taken	into	account	when	recommending	products	to users. This	is	particularly	important	on	special	days	(holidays)	when	the	activity	is	unusually high. This	is	an	example	of	a	use	case	where	efficient	stream	processing	is	a	big	advantage over	batch	processing. 29.Where	Flink	Fits We	began	this	chapter	with	the	question,	“Why	Flink?”	A	larger	question,	of	course,	is,	“Why work	with	streaming	data?”	We’ve	touched	on	the	answer	to	that	—	many	of	the	situations	we want	to	observe	and	analyze	involve	data	from	continuous	events. Rather	than	being something	special,	streaming	data	is	in	many	situations	what	is	natural	—	it’s	just	that	in	the past	we’ve	had	to	devise	clever	compromises	to	work	with	it	in	a	somewhat	artificial	way,	as batches,	in	order	to	meet	the	demands	posed	by	handling	data	and	computation	at	very	large scale. It’s	not	that	working	with	streaming	data	is	entirely	new;	it’s	that	we	have	new technologies	that	enable	us	to	do	this	at	larger	scale,	more	flexibly,	and	in	a	natural	and	more affordable	way	than	before. Flink	isn’t	the	only	technology	available	to	work	with	stream	processing. There	are	a	number of	emerging	technologies	being	developed	and	improved	to	address	these	needs. Obviously people	choose	to	work	with	a	particular	technology	for	a	variety	of	reasons,	including existing	expertise	within	their	teams. But	the	strengths	of	Flink,	the	ease	of	working	with	it, and	the	wide	range	of	ways	it	can	be	used	to	advantage	make	it	an	attractive	option. That	along with	a	growing	and	energetic	community	says	that	it	is	probably	worth	examination. You	may find	that	the	answer	to	“Why	Flink?”	turns	out	to	be,	“Why	not	Flink?” Before	we	look	in	more	detail	at	how	Flink	works,	in	Chapter	2	we	will	explore	how	to design	data	architecture	to	get	the	best	advantage	from	stream	processing	and,	indeed,	how	a stream-first	architecture	provides	more	far-reaching	benefits.